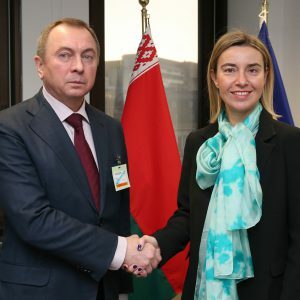 Federika Mogherini, the EU's chief diplomat, has denied that Brussels lifted sanctions against Belarus on geopolitical grounds. Anonymously, EU officials, on the contrary, have confirmed that the decision embodied the victory of pragmatism in Brussels. For the EU, democracy in Belarus has become less important than maintaining sustainable relations with the country. On the other hand, economic hardship and Russian unreliability have made Minsk value the European Union more. With the sanctions removed, Belarus can now hope for increased financial support from Brussels. The latter still expects some progress in the fields of democracy and human rights. Although Minsk will not concede anything crucial, much room exists for cosmetic or minor liberalisation. However, rising protest activity in the country could make the government turn off its “good child” mode, thus spoiling the re-engagement with the West. Critics of the EU decision, besides appealing to the moral dimension of the problem, also invoke practical arguments. They recall what happened in 2008, when “naive EU politicians strove to re-engage Lukashenka and suspended sanctions, hoping to democratise him”. It failed then, and another thaw will fail again, critics argue. This scenario may eventually come true, but the latest phase of EU-Belarus relations has a notably different context and level of ambition in both Minsk and Brussels. In the past the pro-Western wing of Belarusian foreign policy was just a tool to bargain for new Russian bonuses. This time, Minsk, by all accounts, is treating its re-engagement with the EU more seriously and the motivation remains purely pragmatic. 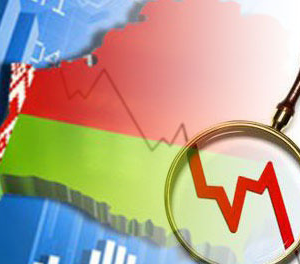 Belarus has fallen into recession and needs urgent economic support. Russia, the traditional safety net, has become unable and unwilling to help due to its own financial troubles. On the other side, Brussels has already burnt its fingers once because of its illusions about the Belarusian ruler and his readiness to evolve. Minsk got rid of sanctions, above all, for pragmatic reasons. One EU official in a recent conversation with the author described this new atmosphere in Brussels: “We have many problems now, and we do not want Belarus to become another one”. Waves of refugees, the terrorism threat, war in Syria, Russia's presence in Ukraine, tough talks with the UK, vulnerable governments in Chisinau and Kiev – all that has increased the EU's desire for stability in its neighbourhood. Hence, relations with Belarus, in Brussels' current view, should be sustainable and more or less friendly, even if the country is not necessarily democratic. This is especially the case since sanctions and engagement both failed to democratise it. Additionally, the EU has felt it necessary to reward President Alexander Lukashenka for distancing himself from Russia and facilitating Ukrainian peace talks. Alongside lifting sanctions, Brussels has also proposed a package of “carrots” for Belarus and a number of the usual expectations from Minsk. The EU wants progress in the areas of freedom of association, assembly and media, a moratorium on the death penalty, and rehabilitation of former political prisoners. Brussels emphasises electoral reform and the need for a freer parliamentary campaign in the autumn of 2016. The “carrots” menu includes funding by the European Investment Bank and European Bank for Reconstruction and Development, supporting Belarusian bids for a new IMF loan and WTO membership, increased technical assistance, lifting of some trade barriers, negotiating a basic cooperation agreement with Minsk, arranging a bilateral coordination group etc. The Belarusian authorities have indicated their readiness to discuss human rights issues with the West. Lukashenka even ordered the establishment of an interdepartmental task force on implementing OSCE election recommendations. Minsk will try to deliver as few concessions as possible – autocracies do not consciously shoot themselves in foot. However, with the positive atmosphere in relations and new priorities in Brussels (stability and predictability over human rights), even small and cosmetic steps may work. The Belarusian authorities seem ready to implement some of the OSCE recommendations on electoral law and practises. They are unlikely to address core concerns: non-transparent ballot counting, early voting, composition of electoral committees and administrative backing of pro-governmental candidates. The government can expand the rights of observers and alternative candidates, ease some financial constraints on campaigning or let more members of political parties into parliament. It remains difficult to say whether the democratic opposition will get into parliament. Considering the minor importance of the parliament itself (presidential decrees surpass laws in legal force), a few opposition members in the legislature would not threaten the Belarusian regime. On the other hand, Lukashenka is psychologically opposed to the idea of having an unsterile parliament in which some of its members persistently make a fuss. They will be able to challenge other governmental agencies with their requests, have certain legal immunity and more tools to interact with the public. That is why one of Lukashenka's first steps to strengthen his power in 1996 was ridding parliament of opposition members. What can he realistically deliver? The government may register some opposition forces like the moderate Tell the Truth campaign. Potentially, it may also ease pressure on independent journalists, establish a human-rights ombudsman office or, in a longer-term perspective, expunge convictions of former political prisoners and put a moratorium on the death penalty. These measures would not threaten the political regime, but the government could sell them as instrumental concessions to the well-disposed West. It is harder to predict the government's attitude to protests. Refraining from use of the force is becoming more challenging because new groups in society are suffering from the economic slowdown. Hundreds of small traders already rallied in the centre of Minsk and other cities to protest the suffocating regulations. Although the rallies were unauthorised, the police did not react. Others will see that street protests are becoming surprisingly safe and may also consider this form of fighting for economic interests. However, this situation cannot go on forever in Belarus; eventually the government will react. So far, the risk of a crackdown on growing protest activity seems the major challenge to the Belarus-EU re-engagement. Still, the new phase of relations is a positive development. In the end, Belarus will need a foreign helping hand to launch reforms and drag itself out of the crisis. For the sake of the country’s future and independence, this hand would be better coming from the West.